Race times subject to change at the track so make sure to be there at least 1-2 hours before your race time. All racers must have number plates on all 3 plates or they will not be scored. If issued a pie plate number, you MUST tape this number to all 3 plates in order to be scored. Founded in 1970, SRA GP is a Southern California based grand prix style off-road motorcycle racing club managed by Rich & Cathy Suitor. 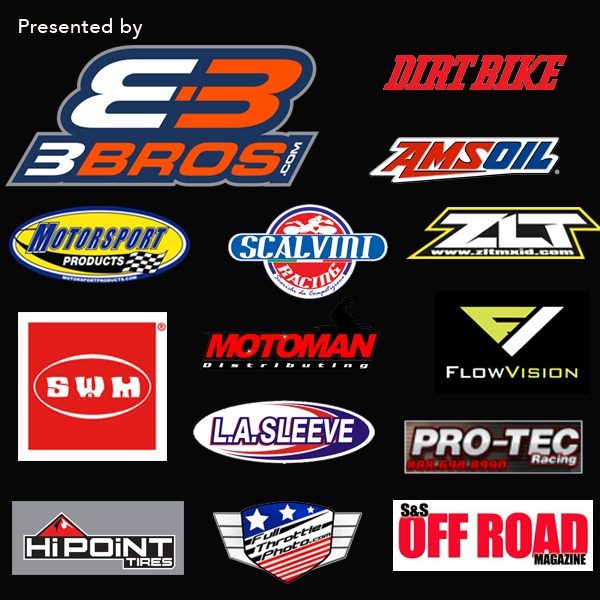 Races are currently held at Glen Helen Raceway in San Bernardino. Races are Grand Prix style which means the track has a motor cross section as well as some off-road terrain. Each race is 45 minutes in length. Racers vary in age from 6 to 75 years old, from beginner to pro levels. Course layouts are different for every race, yet safe and challenging for all skill levels. Our members are fun loving, friendly people, of all ages and performance levels, that love this sport. As a member of SRA you will save on race entry fees and earn points. To get started, please complete this contact form and we will contact you with membership details. Membership Questions? Send Us a Note. We’ve got answers! Feel free to call or email us. You can also connect with us on Social Media or join us on our Race Forum where members can discuss a host of race related topics, events, and more.